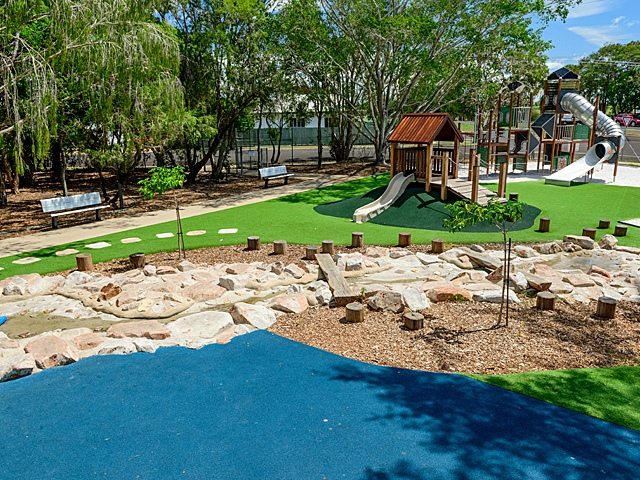 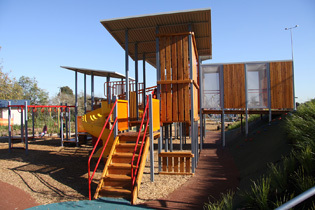 With a balanced combination of both steel and timber construction materials, spectrum+ hybrid is the key to a truly unique, designer play space. 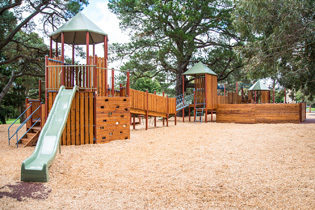 The amazing versatility of the adventure+ range of equipment styles enables the spectrum+ hybrid variation to be offered, where the main uprights are galvanised steel and the platforms and other selected components are constructed from White Cypress timber. 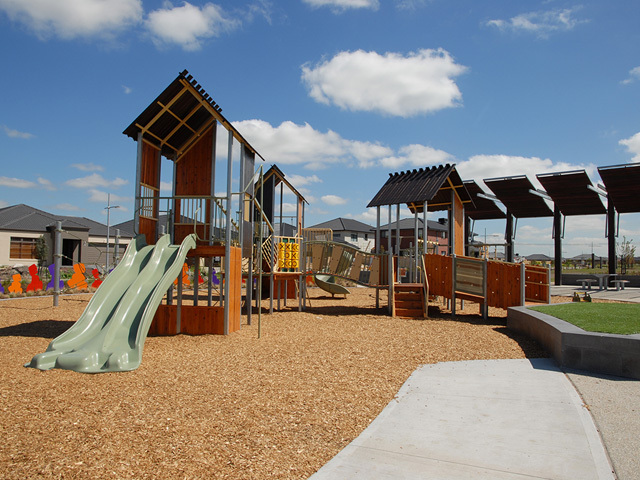 Perfect where a different architectural look is required, the spectrum+ hybrid style is also the ideal solution where steel uprights are required, but the natural feel of timber is desired. 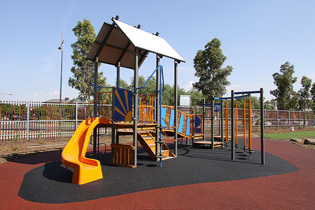 The steel elements offer great potential to impart the required character to a playground through the use of colour on the extensive powder coated surface area available. 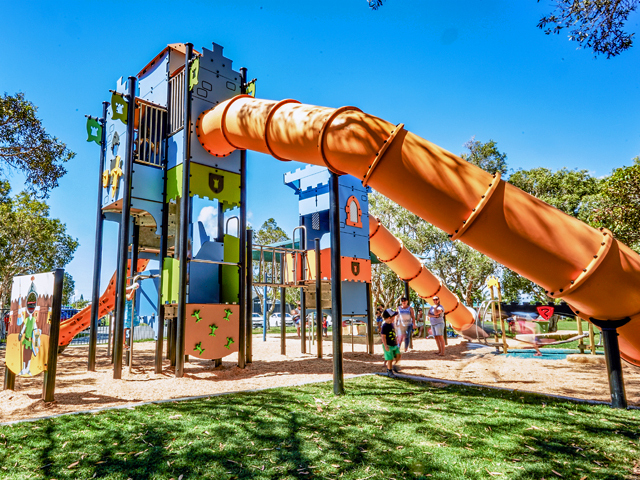 Dynamic colours can be used for a bold and striking effect, heritage colours for a distinguished and stately image or earthy tones for a more subtle result. 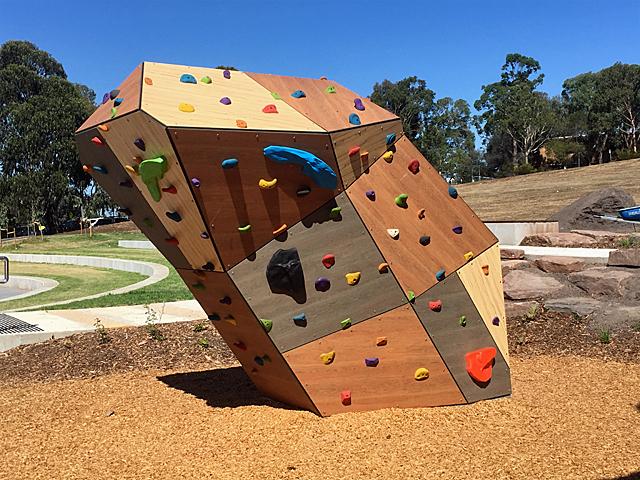 Because timber provides greater scope for customisation, flexibility of design is another special feature of spectrum+ hybrid. 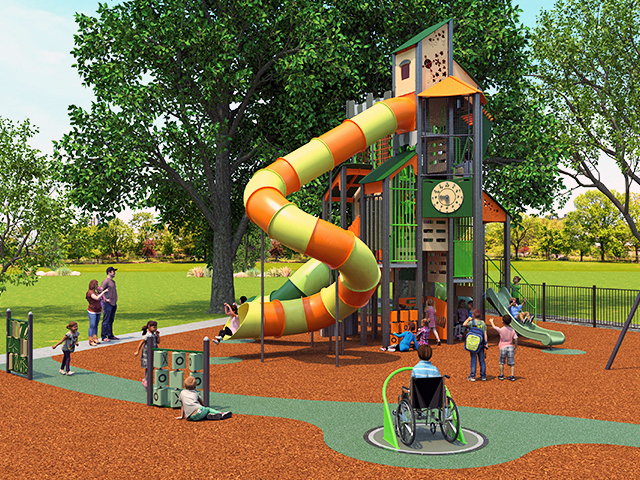 Designs often incorporate large or irregular platform decks, which are excellent for improved traffic flow, accommodation of a large number of users and providing for the needs of users with limited mobility. 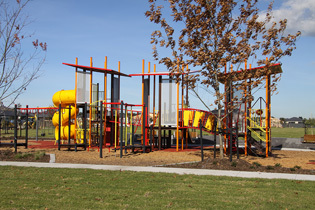 One of the outstanding features of playground design by adventure+ is the ability to achieve something unique and special, and with the broad range of equipment styles available, including spectrum+ hybrid, designs can coordinate with special themes, specific user requirements or awkward site shapes and levels. 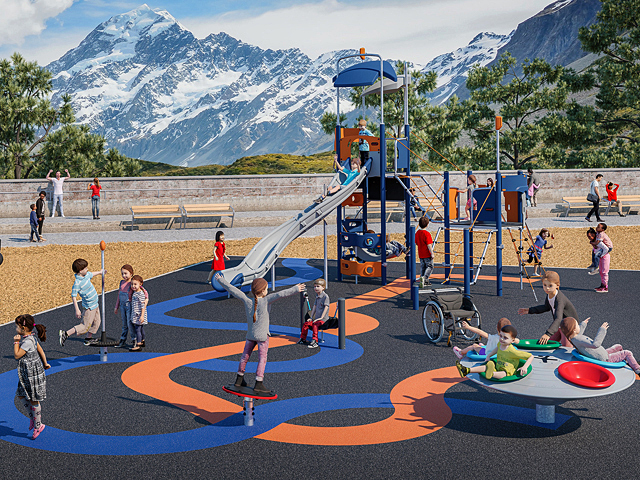 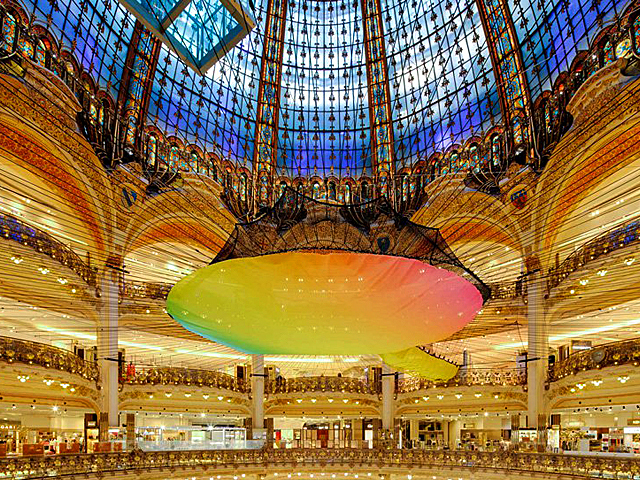 adventure+ designers are skilled at providing a solution for space, budget or other design constraints to help achieve a truly outstanding design and unique landmark playground.